Fiesole, with green space and Tuscan villas, is on a hill a few miles outside Florence. Calm and straight-forward it lets the mind breathe again after the density of its famous neighbour. 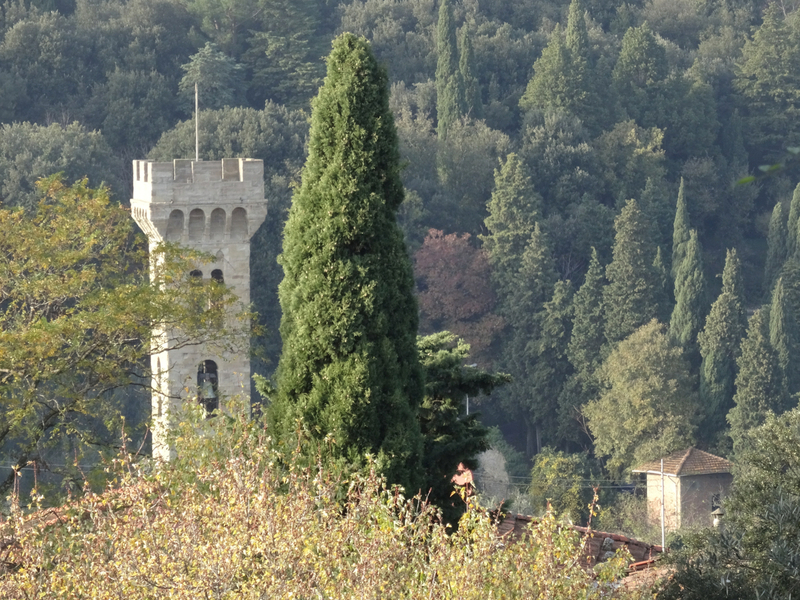 We visited Fiesole with an art student from the city below. For six months she had been immersed in statues, drawings and all the glories of Florence, but when we met her what she longed for … was grass. In Fiesole we found it. Of course we hurried. This was the troublesome young artist so famed in Naples. Long dead we thought so why here in Florence. “Caravaggio!” The male voice was raised, impatient.